After the ceasefire in Syria started in late February Obama broke his pledge to separate the U.S. supported « moderate rebels » from al-Qaeda. In April U.S. supported rebels, the Taliban like Ahrar al Sham and al-Qaeda joined to attack the Syrian government in south Aleppo. The U.S.proxies broke the ceasefire. Two UN resolutions demand that al-Qaeda in Syria be fought no matter what. But the U.S. has at least twice asked Russia not to bomb al-Qaeda. It insists, falsely, that it can not separate its « moderates » from al-Qaeda and that al-Qaeda can not be attacked because that would also hit its « moderate » friends. The Russian foreign minster Lavrov has talked wit Kerry many times about the issue. But the only response he received were requests to further withhold bombing. Meanwhile al-Qaeda and the « moderates » continued to break the ceasefire and to attack the Syrian government forces. The Americans are now saying that they are unable to remove the ‘good’ opposition members from the positions held by al-Nusra Front, and that they will need another two-three months. I am under the impression that there is a game here and they may want to keep al-Nusra Front in some form and later use it to overthrow the [Assad] regime, » Lavrov said at the St. Petersburg International Economic Forum. The Russian hits at Tanf and the U.S. proxies there has an additional benefit. The U.S. had planned to let those forces move north towards Deir Ezzor and to defeat the Islamic State in that city. Eventually a « Sunni entity » would be established in south east Syria and west Iraq under U.S. control. Syria would be split apart. 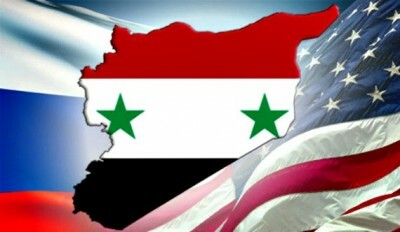 The Syrian government and its allies will not allow that. There is a large operation planned to free Deir Ezzor from the Islamic State occupation. Several hundred Syrian government forces have held an isolated airport in Deir Ezzor against many unsuccessful Islamic State attacks. These troops get currently reinforced by additional Syrian army contingents and Hizbullah commandos.A big battle is coming. Deir Ezzor may be freed within the next few month. Any U.S. plans for some eastern Syrian entity are completely unrealistic if the Syrian government can take and hold its largest eastern city.